The price of home ownership has risen sharply for Millennials compared with past generations. The cost of buying a home has increased 73% from 1960 to 2000 (when adjusted for inflation). 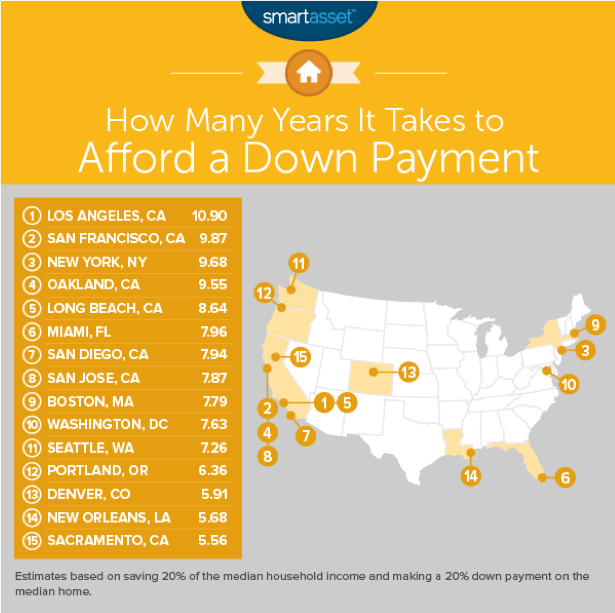 A report by Smart Asset found that home prices are so much higher than average income in some cities that it can take almost a decade to save for a down payment. How Millennials are coping:Home ownership among Millennials is at an all-time low, according to NBC News. Millennials are delaying purchasing a home, along with other life changes such as marriage and parenthood, in large part due to their financial burdens. Millennials entering the workforce face the highest rents of any generation. Zillow reports that the current average rent in the United States is $1,600, while Gen Xers paid just $850 at the same life stage, according to Student Loan Hero. 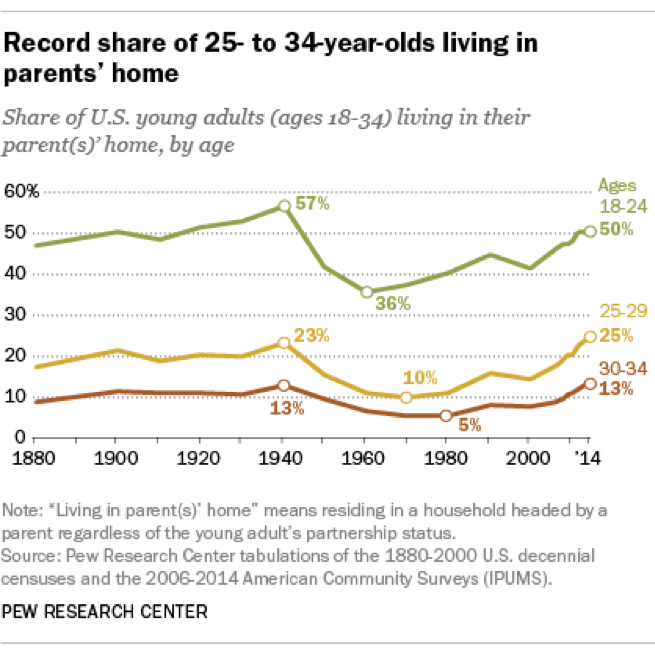 How Millennials are coping:As a result of soaring rent costs and other Millennial financial challenges, more young adults live at home than at any time since the 1940s, a Pew Research Center Analysis found.In 2014, 18- to 34 year olds were more likely to be living in their parents’ home than with a spouse or partner in their own household. The cost of attending a 4-year private college has more than doubled over the past 30 years, according to the College Board. Costs at public institutions have increased even more, more than tripling from 1988 to 2018. How Millennials are coping:The high cost of college has left many Millennials with a steep burden of student loans. Business Insider reports that Millennials who took student loans graduate with more than $17,000 in student loan debt on average. 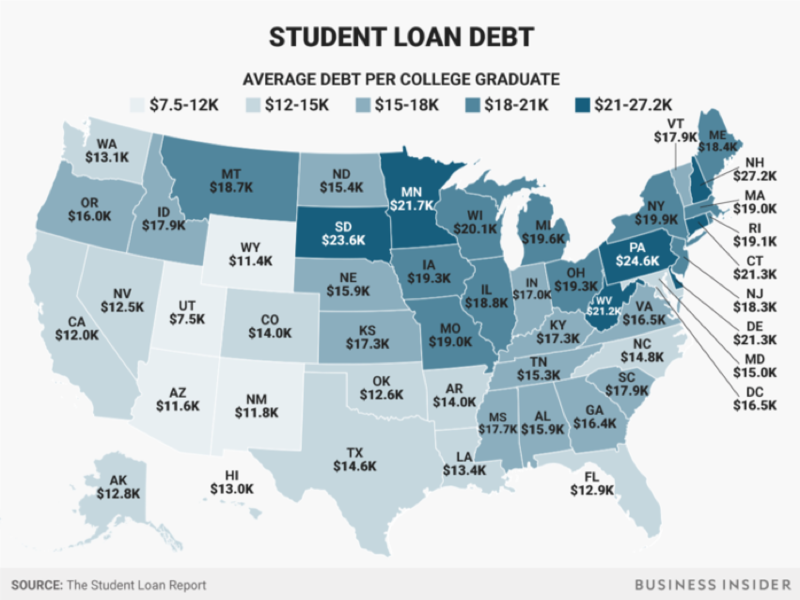 Graduates in the Northeast tend to carry even more debt, averaging as much as $27,000 in student loans. 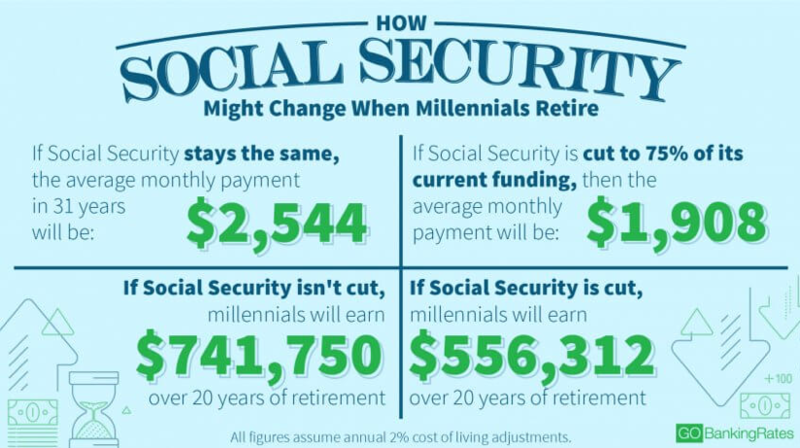 Social Security benefits for Millennials are expected to be just 75% of what retirees are paid now. If funding decreases occur as predicted, the average monthly payment in 31 years would be just $1,908. This would leave Millennial retirees so close to the poverty level they may be unable to pay the basic costs of living unless they have their own savings. How Millennials are coping:Six out of 10 working Millennials have already begun saving for retirement, according to a report by Wells Fargo. Millennials will need to save significantly more than workers in past generations, however. Time reports that with inflation rates of 2% per year, $1 million in retirement savings will be worth just $453,000 in today’s dollars and buy less than $2,500 of monthly income for life. There is some good news when it comes to Millennials and personal finance. Because of compound interest, a Millennial who starts saving 15% of annual income at age 25 will have enough to retire by age 67. 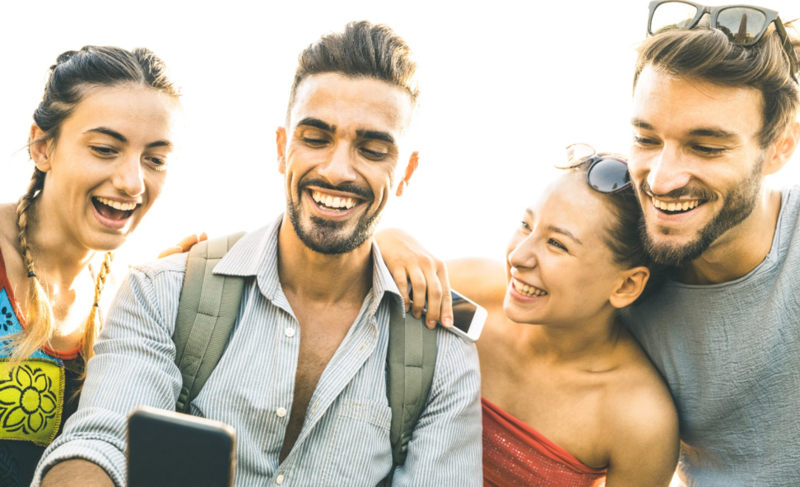 If you are a Millennial who would like some help dealing with the financial challenges you face, reach out to financial advisor Matt Logan at www.MattLoganInc.com or call at 336-540-9700. We can help you devise a livable financial plan that will allow you to meet your financial goals, including paying off debt and saving for a down payment, while still saving for retirement.